Strategy for Success LLOG is the 10th most active driller in the Gulf of Mexico, and one of the top 10 private oil and gas producers in the United States. The company is privately-owned and headquartered in Covington, Louisiana with an office in both Scott, Louisiana and Houston, Texas. Our success is attributed to a talented and dedicated staff: professionals with an average industry experience of nearly thirty years. LLOG sustains an organic growth strategy of generating, acquiring, drilling, and developing exploration projects. Over the past five decades, we have enjoyed a success rate of 70% on nearly 850 exploratory wells drilled. LLOG has been highly efficient in developing and operating our discoveries. Currently, our finding, development, and lifting costs are among the best in the Gulf of Mexico. As an additional element of our business strategy, LLOG has divested assets when appropriate and re-deployed funds into our core exploration business. This approach has provided internal funding for projects with minimal need for external leverage. Since being founded in 1977, we have grown into a company with interests in 121 blocks (80% undeveloped) in the Gulf of Mexico, net 2P reserves of over 200 million BOE, associated net possible reserves of 129 million BOE, and 2013 net production averaging approximately 27 MBOEPD. Our predominant areas of value are Mississippi Canyon, Green Canyon, and South Timbalier. 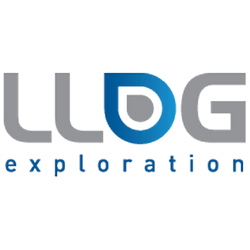 LLOG has an inventory of nearly 121 exploration prospects which could more than double the size of the company. The inventory includes a variety of high-quality, low-risk targets. These targets are conventional amplitude supported prospects in the deepwater and on the shelf, low-contrast amplitude and sub-salt structural plays in the deepwater, and deep-gas structural plays on the shelf.